How to become a member of the FSB, where to obtain specialized education, which Universities FSB exist? Future employees of the Federal security service are prepared in educational institutions of FSB and in a number of other educational institutions, both civil and military orientation. In order to become an employee of the Federal security service, of course, you need to get a higher education, but to address the question "where to study?" first you need to decide on a career choice. In the FSB, as well as in any other organization, a person must carry out a certain work function, that is the work of a particular profession. The structure of the FSB includes, besides the Central apparatus of the FSB of Russia and territorial bodies, and the bodies of the border service, the security authorities in the troops. The Federal security service has its own aviation units, special operations units, units providing support in the implementation of the tasks of the security organs. Under such "auxiliary" units are understood research, expert and medical institutions subordinate to the FSB. Thus, the FSB requires staff of various professions: lawyers, experts, border guards and other specialists of the military sectors. The main educational institutions preparing personnel for counterintelligence are the Universities that are part of the FSB. Such Universities exist in various regions of Russia. It is and institutions of FSB of Russia in St. Petersburg, Nizhny Novgorod, Yekaterinburg, and the Academy of the FSB of Russia, located in Moscow. However, in the Academy of the FSB of Russia, in General, increase the skills of existing employees, whereas in institutions have the opportunity to enroll everyone. The rules and procedure of admission to Universities FSB can be found on the official website of the chosen institution. 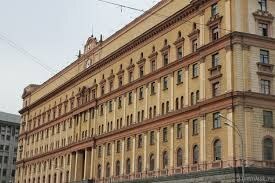 In addition to these educational institutions, in the system of the FSB are the Universities of the border troops. This Boundary Academy of FSB of Russia in Moscow, and Border institutions in Moscow, in the Moscow region town of Golitsyno, Odintsovo district), as well as the Kaliningrad, Kurgan, Khabarovsk border institutions. institutions have branches in other cities of the country. For example, in the Stavropol region is a branch Galizische border Institute. In educational institutions of FSB to get a higher education majoring in "legal guarantees for national security", psychology service activities", "border activity". These areas of training to fill the ranks of the personnel of the staff departments of internal and external intelligence, high level psychologists and lawyers in various fields, as well as officers of the border guards. But that's not all specialties needed to work such a mighty structure. In the work of spies an important role is played by technical means, and therefore required technical expertise for maintenance and even development and creation. Professionals in this category are prepared in Universities structures, such as the Institute of new information technologies in Moscow, and in civil educational establishments. Graduates with the rare technical professions often invited to work in the system. The FSB is known to the townsfolk, mainly by the gallant fighters of "alpha", "Vympel", others to special forces. Contrary to popular belief, for service in these units also need to receive a higher education. To become a representative of elite special forces is finished, for example RVVDKU, people received the name of "ryazanka", where they teach professional saboteurs, military interpreters, officers of the airborne divisions. You can also finish the Nakhimov school in St. Petersburg, where they receive education so-called Marines. Among special educational institutions of FSB you can call the coast guard Institute, which is located in the city of Anapa. Service the FSB is not only the intelligence service, the FSB conducts and counter-terrorism activities, deals with disclosure and investigation of crimes against state security. Future investigators and operational staff can receive education in higher educational institutions of the MIA of Russia for the respective areas of training.